The principle of this operation lies in restoring the correct angle between badly grown cartilage segments of the auricle. With children, the intervention takes approximately 30 minutes and is conducted under general anesthesia. 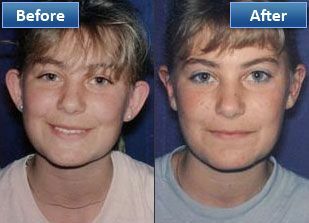 With more grown children and adults the intervention is performed under local anesthesia, in an outpatient manner. The period of surgical convalescence is usually 10 days, full load is possible after 4 weeks.